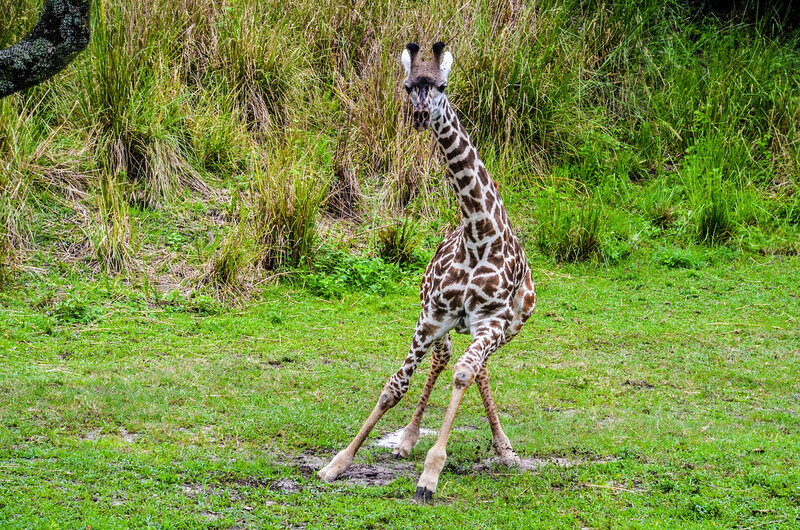 Our Animal Kingdom 1-Day Itinerary is an efficient touring plan for what attractions, shows, and dining we’d do in our ideal day at the park. This itinerary is how we’d recommend experiencing all of the, what we consider, Animal Kingdom essentials. While other touring plans focus on fitting in every attraction in one day, we’ll be more focused on how to have the best day possible. 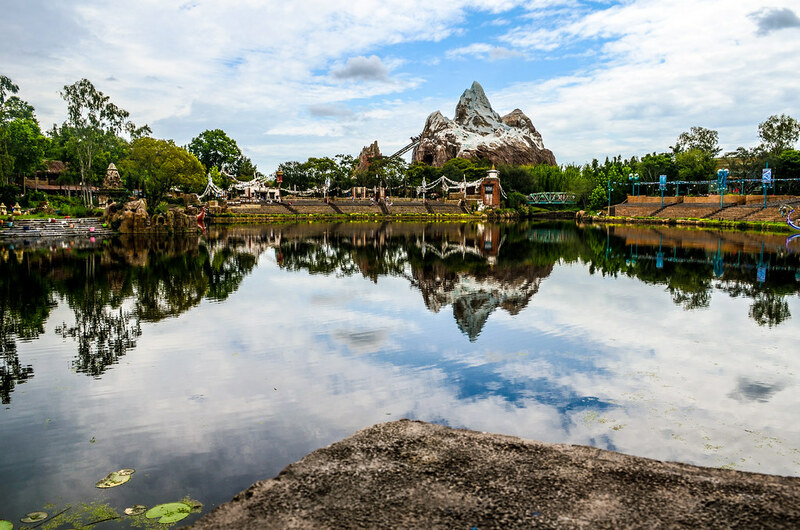 Instead of constantly running from attraction to attraction, this plan will also have you enjoying some of the little things that make Animal Kingdom special. Yes, we’ll get to the majority of the attractions but some are left behind in favor of, what we consider, better options. If you are more ride focused then check out our Animal Kingdom attractions rankings. 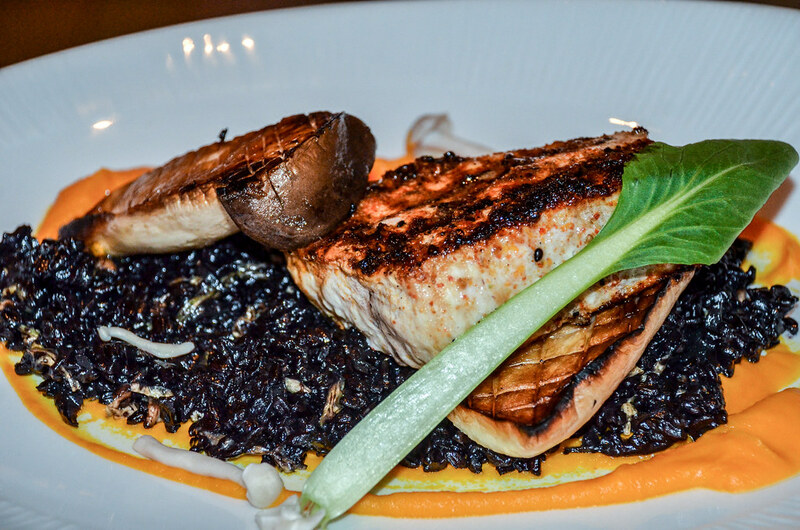 We also have entertainment, table-service and counter-service rankings to help out your trip planning. We’ve made it through our Disneyland, California Adventure, Magic Kingdom, Epcot, and Hollywood Studios itineraries with more coming soon! Animal Kingdom has become a drastically improved park over the last five years. 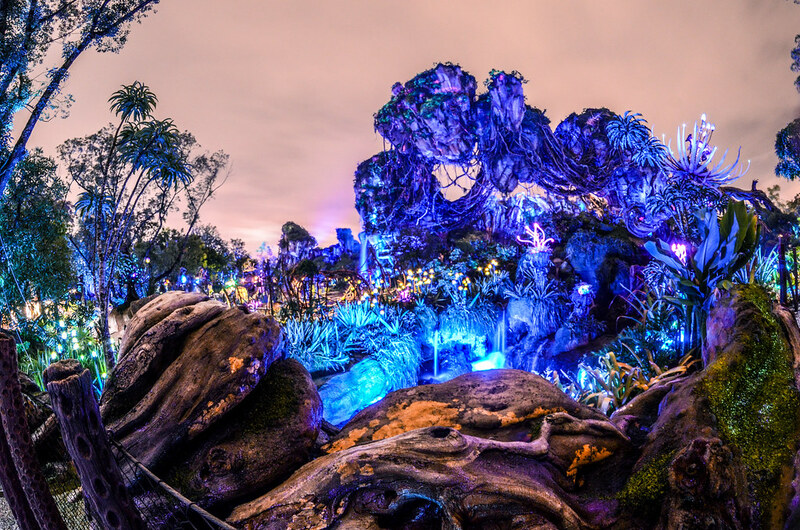 The headliner in these changes has been Pandora – World of Avatar which lives up to the hype. On top of that, there have been entertainment additions, nighttime hours and cosmetic changes to the park that have made Animal Kingdom one of the better theme parks in the country. Filling up an entire day at this park will be no problem at all, and I’d even consider adding extra time here if your vacation allows. I won’t hide my opinion, Animal Kingdom is my favorite Disney World park so I’m cramming as much into this itinerary as possible. With all of these new additions in the last few years, I don’t think we’ll see many significant additions to Animal Kingdom in the coming years. As always, we’ll try to keep this post updated if there are significant changes. Like our other itineraries, FastPass+ plays a big role. We have our FastPass+ Guide to Animal Kingdom that we will essentially be following throughout this plan. Getting the first FastPass ahead of time (60 days if you’re staying on-site, 30 days off-site) is one of the most important steps in this plan so that you can experience Pandora’s flagship attraction, Flight of Passage, with minimal waits. There are many different factors that go into a theme park day, so we do have to keep this plan somewhat general. 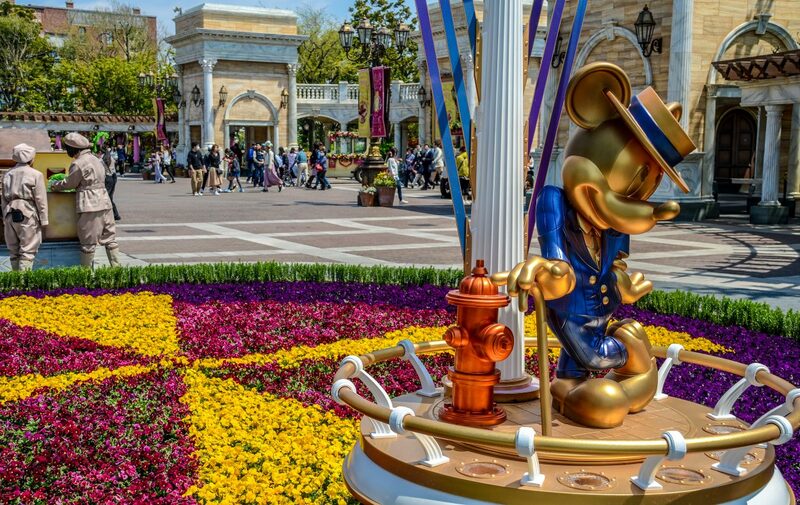 I don’t know how busy the park will be when you visit, whether you were able to reserve the FastPasses we suggested, where you are staying, etc. What I do assume in this itinerary is that you are spending the full day inside of the park, getting there before the gates open and leaving after the park closes. Getting to the park about half an hour before opening would be a wise choice if you only have one day there. I would recommend staying on-site at Disney World as you are able to reserve FastPasses further in advance, which is your only hope of getting a Flight of Passage FastPass, and the transportation is simpler. If you are extremely Animal Kingdom focused and the budget allows, staying at Animal Kingdom Lodge would be ideal. Coronado Springs Resort is also close by but doesn’t come close to how amazing Animal Kingdom Lodge is. If you aren’t staying at either of these resorts, don’t worry. Just get to the park before opening one way or another. On to the plan! 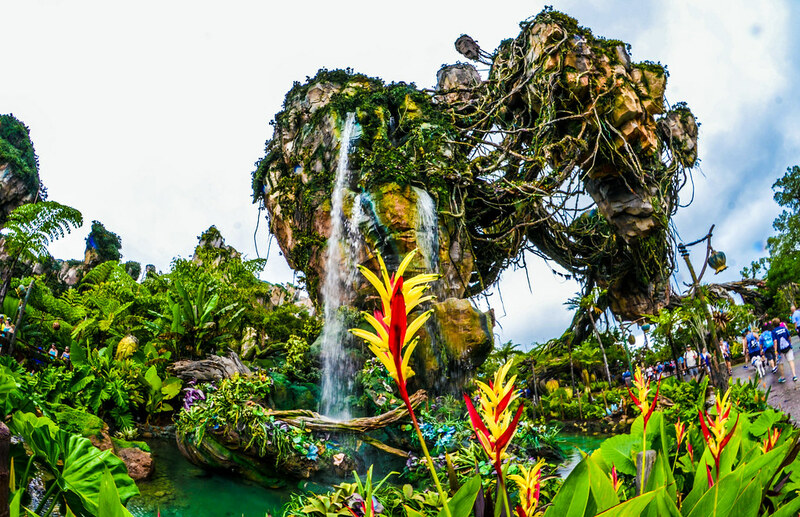 Your real itinerary begins at the 60 day window, getting a FastPass for Flight of Passage in Pandora – World of Avatar. Frankly, getting this pass at exactly 60 days is pretty difficult. Instead, if it’s an option, plan your Animal Kingdom day for a little later in the trip so that getting the FastPass once your window opens up is easier accomplished. Get this FastPass for as early as possible. If you can’t get the Flight of Passage FastPass then Na’vi River Journey will do. Assuming you were able to get a Flight of Passage FastPass, we will start the actual day at Na’vi River Journey. Plan to get to Animal Kingdom’s gates about half an hour before opening and go straight to the attraction. Once you are done with the ride, use your FastPass for Flight of Passage. If you couldn’t get the Flight of Passage FastPass then flip these steps and arrive at the gates about an hour before opening. If the park isn’t very busy yet then you could try to fit in an extra ride on Flight of Passage because it is that good of an attraction. If the wait is longer than half an hour after Na’vi River Journey then just move on. After the attraction, soak in Pandora’s sights for a few minutes. While this plan will have you back in the land several times throughout the day, it is beautiful in the morning light. Get a lay of the land and enjoy one of the most enveloping lands Disney has ever created. For more information on Pandora, here is our touring plan. Once you have spent a few minutes exploring Pandora, head across the bridge to Africa and the village of Harambe. 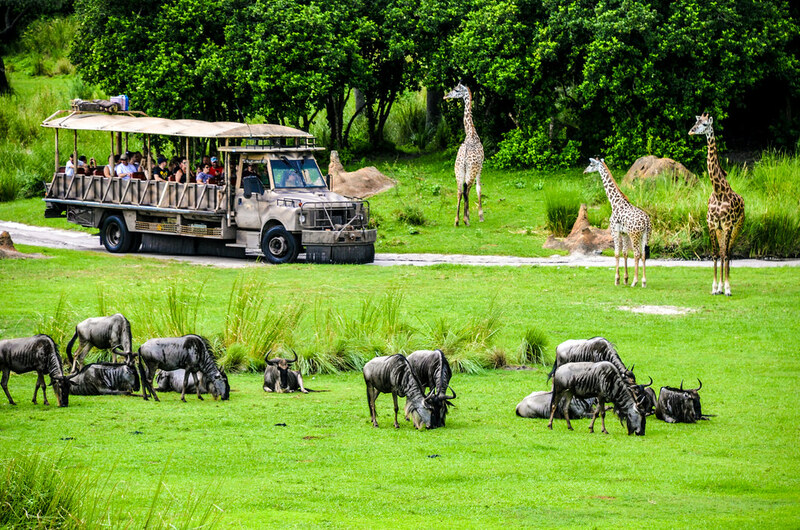 Kilimanjaro Safaris is the next FastPass on the list and is an extraordinary ride, taking guests on an expedition to see animals from all across the world. Ideally, this FastPass will be in the second hour of park opening. 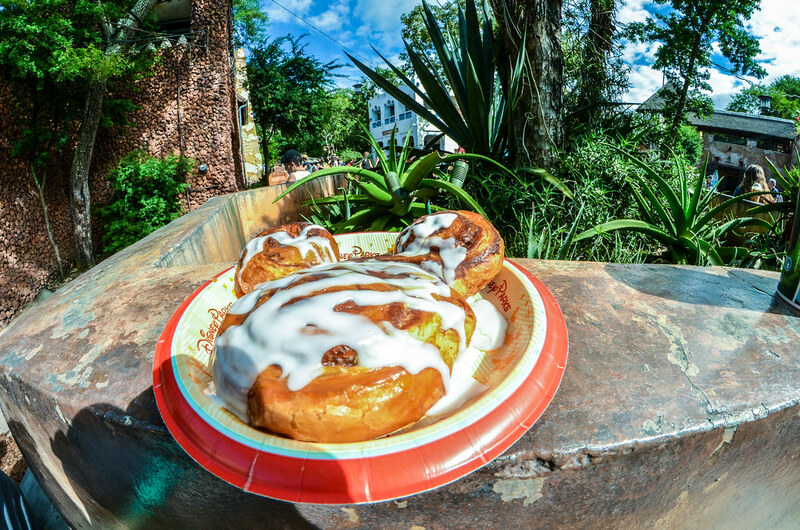 Depending on the time and how hungry you are, grab a Colossal Cinnamon Roll from Kusafiri Bakery to share with the rest of your group. This is my favorite cinnamon roll on property mainly because it’s actually three cinnamon rolls in one! Get this before or after your safari as we’ll take a (not really) long walk to Asia after this. If you have been following with these itineraries, you know that morning is when we get most of the attractions done. Animal Kingdom is no exception as the next step has us crossing off the last two major attractions off the list. These attractions feature giant creatures who would like to have you for lunch if you aren’t careful. Fortunately, we’ll be careful. Ideally, the last FastPass you get is for Expedition Everest in the third hour of the park being open. Continuing the loop around the park brings guests to the looming mountain. While we will eventually come back to Everest, using a FastPass here frees up the rest of the day to make more reservations. Next on the list of FastPasses should be the attractions I’ve already mentioned, followed by Dinosaur, Kali River Rapids, and Festival of the Lion King. Unless it’s an extremely busy day then there should be at least one of those available. After Everest, it should be early enough in the day that Dinosaur’s wait time is minimal. If you were able to get your 4th FastPass as Dinosaur then you can save it for that time but it shouldn’t be much of a wait at this time. After Dinosaur, spend time in DinoLand at your own risk. It is easily my least favorite area in the park but some people like Primeval Whirl. I hate it. I do enjoy The Boneyard, which is the playground in DinoLand USA that doubles as an archaeological site. From an ugly land to a gorgeous one, we have completed our morning loop of the park ending back at the Tree of Life. Around the park icon are a number of trails and animal exhibits. With whatever time you have left before you need lunch (or have a lunch reservation), explore the paths and see any animals in the area. There are paths both in front and behind the tree that will give you a unique view. I especially like the path that leads directly behind the tree and the flowing water around there. Once in a while kangaroos will be hopping around in front of the tree, making for a captivating scene. See what different animals you can find on the Tree of Life. On top of all of this, the gardens are gorgeous and worth exploring on their own. Animal Kingdom has no shortage of good food options. We’ve settled on Tiffins, one of the best theme park restaurants in the world, for lunch. Tiffins showcases some of the Imagineers travels that inspired Animal Kingdom. The decor is beautiful and interesting and the food features dishes from around the world. I picked lunch here as it is a little bit cheaper than dinner but either way is a good option. 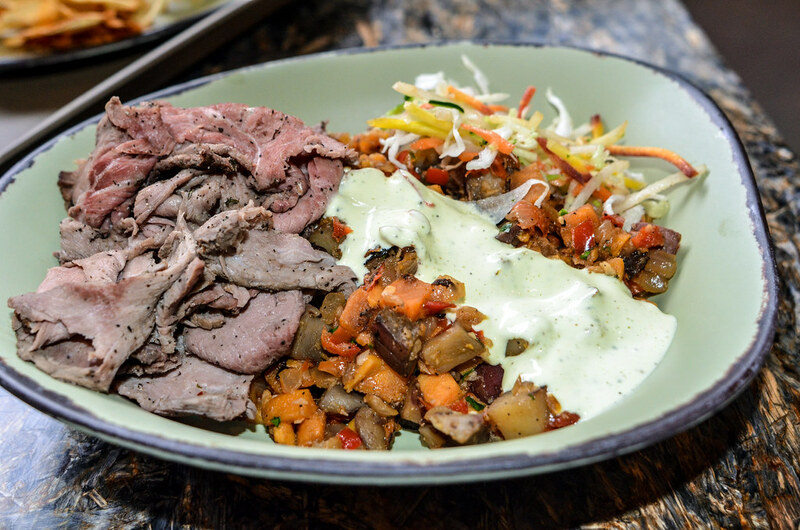 Tiffins is somewhat expensive, although there is some value in a few dishes, so if you don’t want to spend the money then Flame Tree Barbecue is a great option for carnivores. Harambe Market and Yak & Yeti are other good choices. After you have stuffed yourself to the brim we’re going to continue to stay out of the heat and enjoy some shows. Head back to Africa for the great Festival of the Lion King. This is a variety show (kind of) that is inspired by Lion King. Festival of the Lion King showcases incredible talent and is one of my favorite shows in Disney World. There’s a chance that a FastPass will be available for one of the afternoon shows, if there is then book it! If you want to continue the show theme for the afternoon then It’s Tough to be a Bug! and Up! A Great Bird Adventure are quality options. The former is a somewhat terrifying 3D show that is well done and under the Tree of Life. Up! A Great Bird Adventure is more of an educational show with live birds. There are a few characters from Up that come out during the show. Explore Asia and Get Splashed! After your shows, it’s time for a ride on Kali River Rapids during the hottest part of the day. This is a great option for another FastPass if there is one available. While the attraction itself isn’t my favorite the queue is incredible and worth going through if the wait time is 30 minutes or less. If you don’t have a FastPass then keep an eye on the wait times throughout the day and hop in line when the time has gotten fairly low. While I don’t consider this attraction one of the Animal Kingdom essentials, I do think it’s worth a ride. Before or after you’re done with Kali River Rapids, explore the beautiful land of Asia. Grab a snack at one of the many food carts throughout the land. Watching the monkeys swing around in this land is a favorite pastime of mine and there are many different areas to get a unique view of Everest. 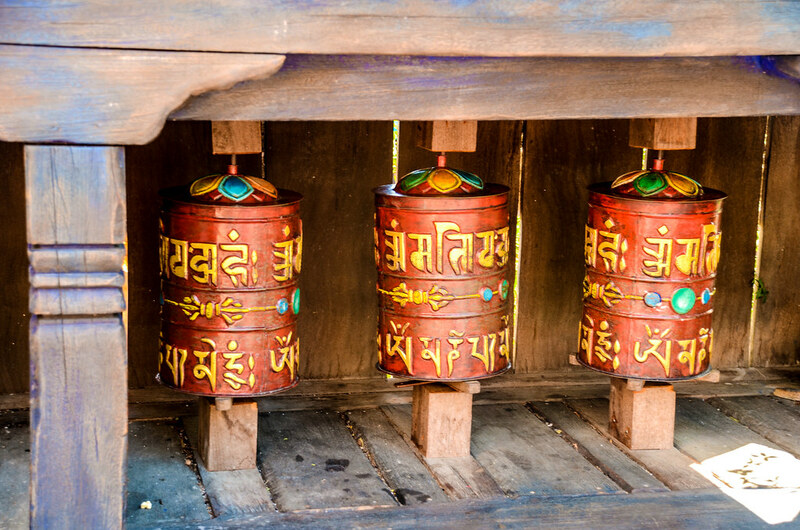 While in Asia, it’s time to go on one of my favorite attractions in the park – Maharajah Jungle Trek. This walk-through attraction takes guests through a beautiful path that ultimately leads to a tiger exhibit. Along the way there are many other animals to enjoy, as well as some beautiful art work that tells the story of poachers and tigers. Spend some time here and don’t rush through, this is one of the attractions and areas that makes Animal Kingdom unique. Maharajah Jungle Trek will close earlier than the rest of the park so make sure to catch it before it closes, you may have to move it up a step or two in some cases. Heading back to Africa will lead us to the other animal trail that the park offers – Gorilla Falls Exploration Trail. This is another beautiful area that leads to gorillas and many other animals. While this attraction doesn’t tell the story that Maharajah Jungle Trek does it is still worth seeing. Many times there will be animal specialists or other cast members (some native to Africa) along the trails. Stop and talk to them, as they are eager to share what they know. If you only have time for one trail then make it Maharajah Jungle Trek but they are both worth exploring. This leads us back to Kilimanjaro Safaris around sunset. Animals can be fairly active around this point and the experience at that time is much better than being completely dark. Along with the safari, entertainment will be picking in the village of Harambe, stop and enjoy some music and the excellent atmosphere Africa has. Right around sunset and after your safari is when you should head back to Pandora. Watching the land transform from daytime into night is fascinating. I actually prefer the day lighting as the colors are really exuberant, there are some beautiful aspects to Pandora at night. While there it’s time to enjoy dinner at Satu’li Canteen. This is one of the best counter-service restaurants at Disney World. While the inside of the restaurant isn’t all that impressive, the food is great and the value is strong. If the weather cooperates, eating outside is a great option. After dinner, it’s time to explore! Animal Kingdom has an energy that you can feel during the day thanks in part to all of the animals and water throughout the park. Along with that, the colors really make for a beautiful environment and unique energy. That transfers into nighttime via live entertainment and beautiful settings. As I’ve already mentioned, Pandora is well worth seeing at night. The entertainment in both Africa and Discovery River is well worth seeing. Whether you enjoy dancing, singing or just sitting and watching there is something for everyone in terms of entertainment here. It is one of the more unique environments that the American parks have. 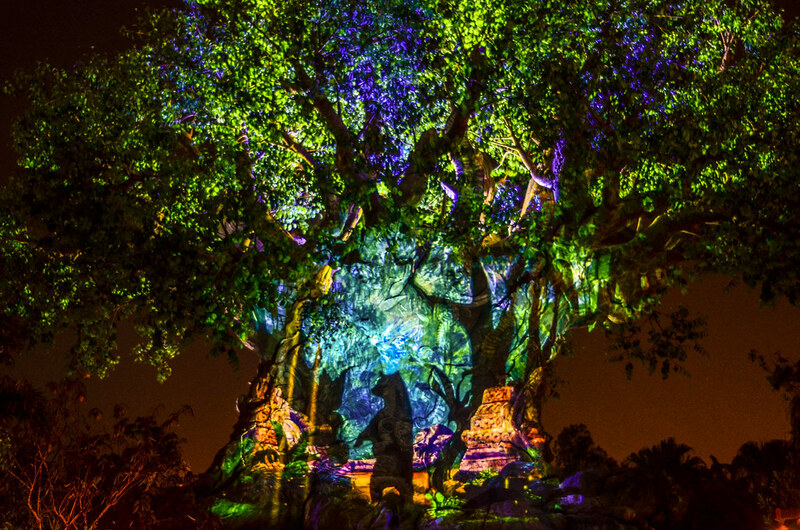 My favorite form of entertainment at Animal Kingdom is the Tree of Life Awakenings. These are little vignettes shown via projections on the Tree of Life after the sun goes down. There are several different stories told. Find a spot to watch a few shows throughout the evening. 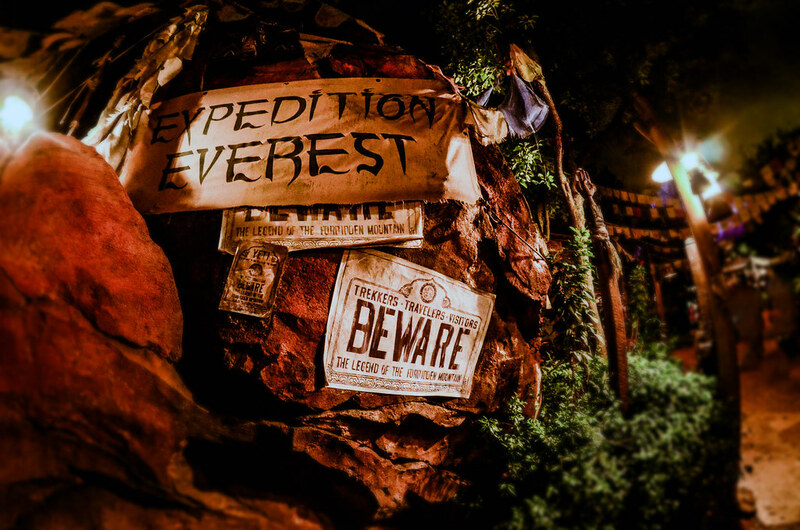 Making your way back to Asia for a nighttime ride on Expedition Everest is a must. The roller coaster is a fairly different experience at night, spookier and more thrilling since there isn’t much way to see what’s going on. Being over in this direction again adds the bonus of seeing Asia at night, my favorite lighting package that Disney World currently has. The string lights illuminating the prayer flags in Asia are spectacular, as well as the giant mountain looming overhead. The final step of the night is more of a choose your own adventure. I ultimately chose Pandora and one last ride on Flight of Passage in the itinerary. The other option would be to hang out in Asia and watch Rivers of Light, Animal Kingdom’s nighttime spectacular. While we enjoy Rivers of Light more than most, a second ride on Flight of Passage will probably be the preference for most. There’s a chance that you’ll be able to accomplish both of these steps, depending on closing time and how many Rivers of Light showings there are. Having said that, this itinerary is already crammed so it may be asking a bit much to fit both in. 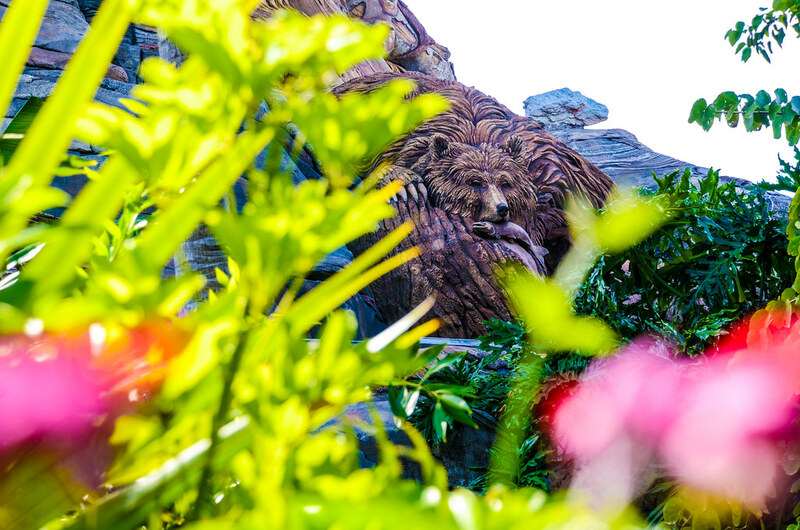 On your way out of the park, enjoy more picturesque settings and another showing of Tree of Life Awakenings. 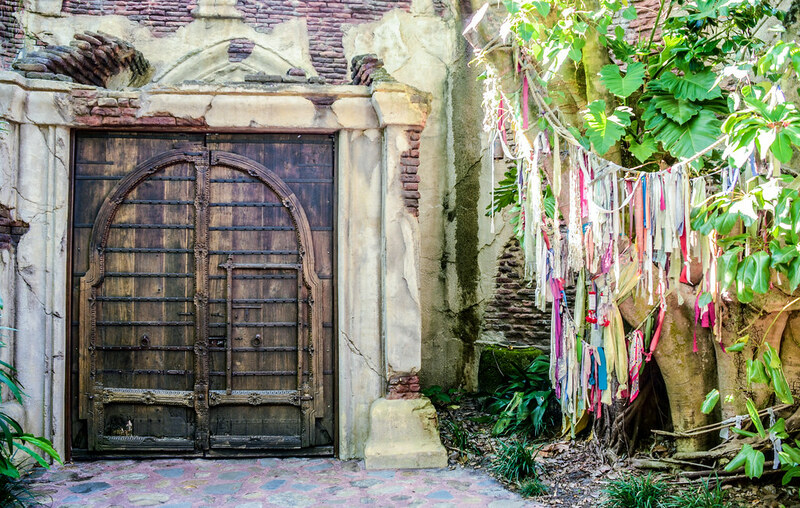 If it’s not already clear, we think Animal Kingdom is a park to slow down in and enjoy the details. There are so many environments and lands that should be soaked in rather than rushed by. This is true from the start of the day to on your way out of the park. Instead of a day running from attraction to attraction, make Animal Kingdom a day of wandering the park with attractions thrown in. Of course, there are times when you should be more attraction focused (the morning) but most of the time slow down and enjoy everything the park has to offer. As always, if you have questions or thoughts on our Animal Kingdom itinerary then leave a comment below. If you are planning a trip to Disney World, then check out our planning guide. If you enjoy what you are reading here on Wandering in Disney please share this post with your friends, as well as like our social media pages. You can also subscribe to the blog via WordPress or email. You can do all of that on the right side of this page. Thank you for reading, we really appreciate it!